While there is plenty to interest and occupy any visitor to Porto, if you are in this region of Portugal for more than a few days it is well worth taking the time to visit some of the country’s other historic attractions, which are within easy reach. Located in the far north, at the heart of the Minho region, the ancient city of Braga is one such destination that deserves to be included on any sightseeing itinerary. Braga is Portugal’s oldest city and is steeped in history, tradition and ancient culture, all of which merging seemingly effortlessly into the contemporary world of a modern-day University City and thriving tourist destination. With a relatively short journey time from Porto to Braga, this makes the ideal day trip from Portugal’s second city. Braga’s ancient roots lie firmly at the heart of the Roman Empire, when it was a thriving metropolis and important administrative centre for the Empire on the Iberian Peninsula. The remains of this important period can be found unearthed and lovingly restored, juxtaposed amongst the baroque palaces, medieval churches, university buildings and 18th-century townhouses that fill the streets of this beguiling city. 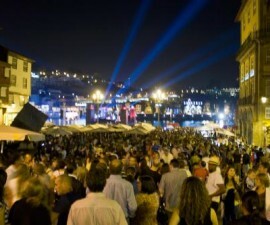 Simply wandering through the streets is a feast for the senses in Braga and will keep many a visitor entertained. 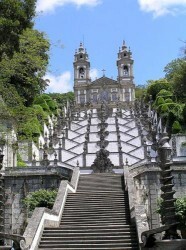 If you have just one day in Braga, though, there is much to do besides that. Begin your trip to Braga at the Praca da Republica Square, which is a popular meeting point for locals and visitors alike. Here, you can take stock of your surroundings and plan how to get the most from your one day in Braga as you sip a hot coffee and indulge in a traditional pastry or snack. 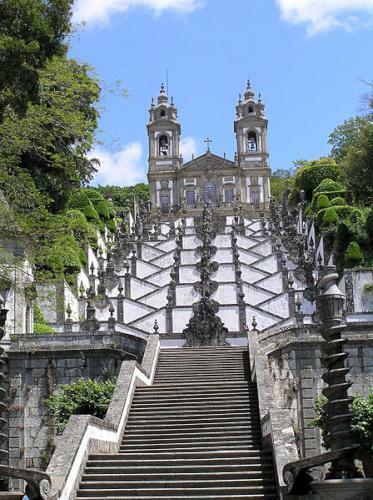 Continue your trip to Braga with a visit to the Se Cathedral of Braga, one of the city’s cultural highlights, which is located close to the main square. This 11th-century ecclesiastical building is the oldest-surviving church in Portugal and has been stunningly preserved and enhanced throughout the intervening centuries. 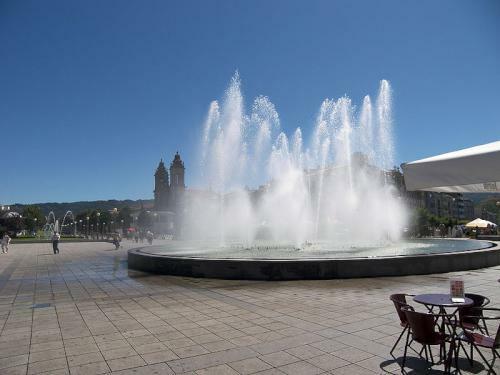 Heading away from the main square, your sightseeing tour continues with a visit to some of the city’s most important museums. 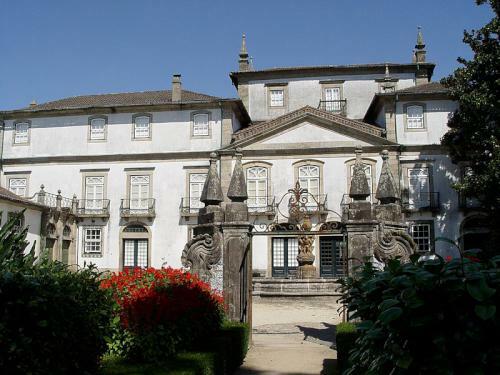 The Biscainhos Palace and Museum dates back to the late 16th and early 17th century and is a fine example of the baroque architecture that was so popular in Portugal, and indeed all over Europe, at the time. The Palace showcases some delightfully intricate plasterwork and ornate designs, making the perfect backdrop for the collection of furniture, artworks and artefacts that date back more than 300 years. The house was originally built as a manor house for the aristocracy before coming into the hands of the state and being opened as a public museum. Those with an interest in archaeology will be spoilt for choice during their trip to Braga. The Museum of Archaeology, also known as the Museu D. Diogo de Sousa after the city’s former archbishop who dedicated much of his life to renovating and preserving Braga’s rich architectural and cultural heritage, is a must-visit destination on your sightseeing tour. Created in 1918, the museum houses a fascinating mix of antiques that span the period from Neolithic times to the days of the late Roman Empire. Don’t miss the beautifully preserved Roman mosaic floor, which was excavated in the late 20th century. 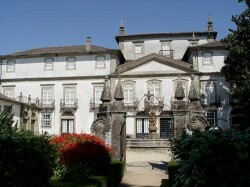 Braga is one of Portugal’s most important university cities and the Museum of Archaeology sits right in the heart of the ancient university campus. Take the time to wander through the streets and squares, admire the grandeur of the buildings and soak up the atmosphere of this great seat of learning. One day in Braga wouldn’t be complete without exploring the city’s delightful commercial areas, where a multitude of shops, restaurants and bars are just begging to be discovered. 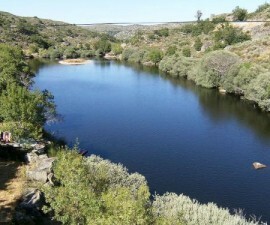 Eating and drinking play a major role in day-to-day life in Portugal, and the Minho gastronomy of the Braga region has an excellent reputation countrywide. There are plenty of pavement bars and cafés, as well as more formal restaurants in which to sample some of the tastiest regional delicacies. Braga is well-known for its chic boutiques and artisan shops and stalls, so this is the perfect place for a spot of shopping to stock up on a few mementos of your visit to Portugal. Whether you are in search of artisan pieces made by local craftspeople or high-end street brands, there is plenty of choice to be had within the ancient streets of Braga. 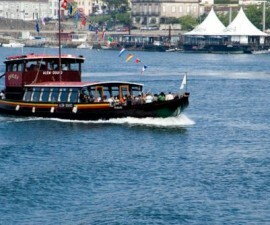 The journey from Porto to Braga can be made by national bus service, train or car. 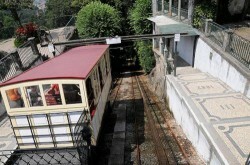 It takes approximately an hour to travel from Porto to Braga by train, and a little longer by road.